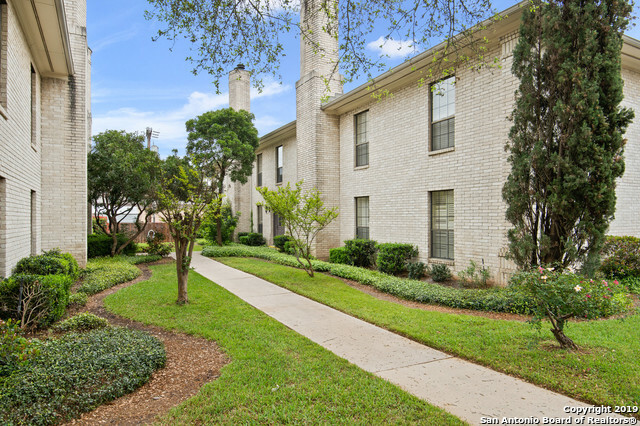 All FARMINGTON COMMONS CONDO homes currently listed for sale in San Antonio as of 04/24/2019 are shown below. You can change the search criteria at any time by pressing the 'Change Search' button below. "Charming upstairs unit at Farmington Commons with generously sized bedrooms, open living areas, a cozy fireplace and wet bar. Covered patio with extra storage space and private back entry, in addition to the interior stairway to the front door. Third bedroom is currently used a den but can easily be returned to original by adding a door back. Water heater and AC unit recently replaced. Lovely grounds and community pool plus 2 covered parking spaces complete the package!"